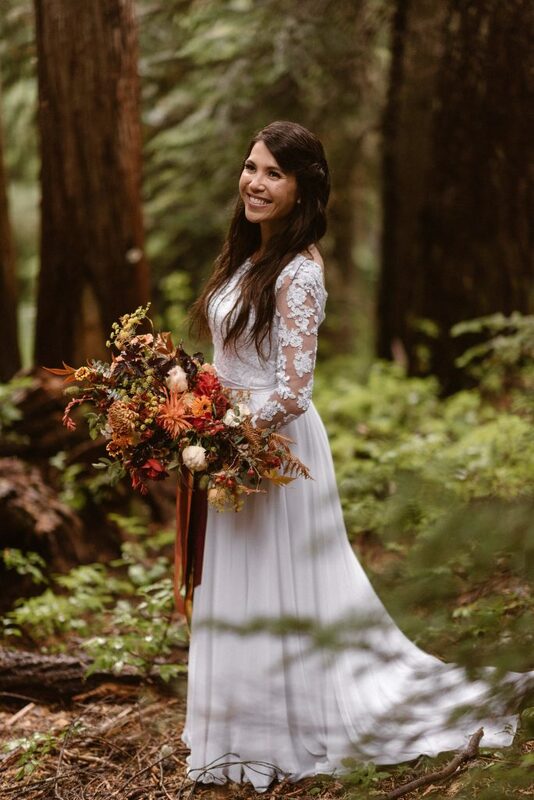 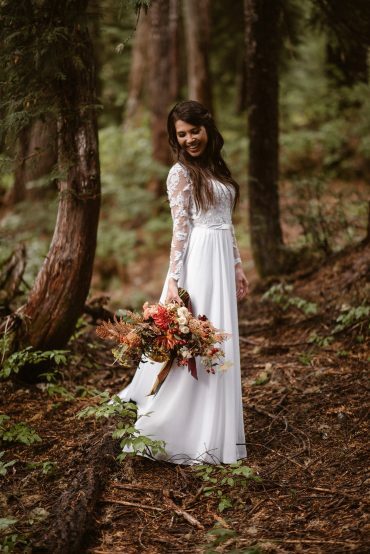 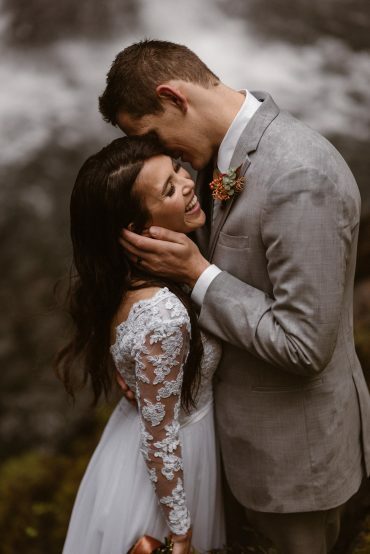 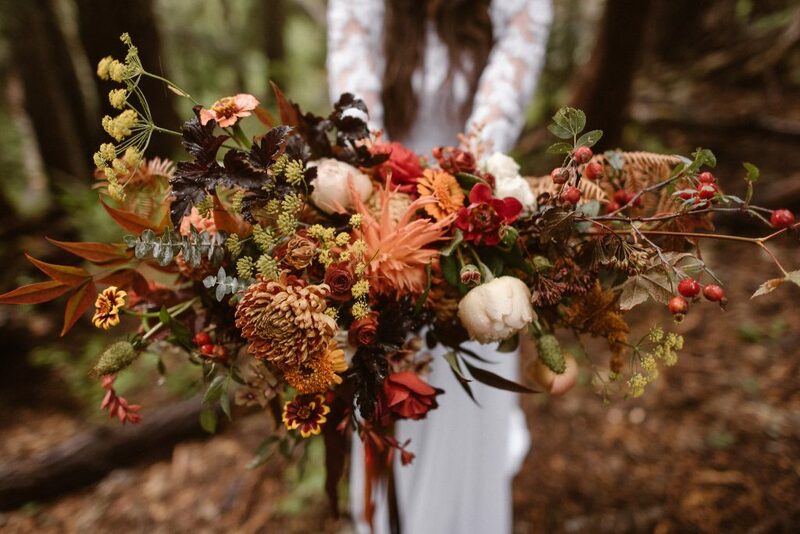 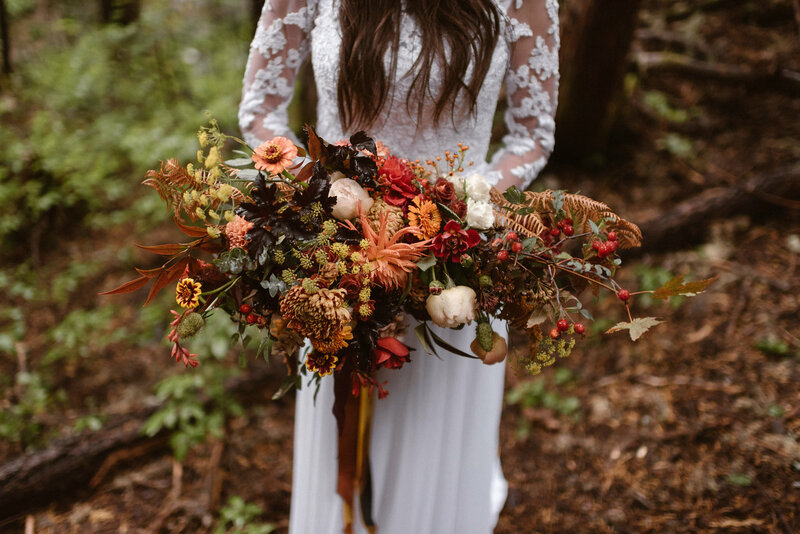 Even a destination elopement deserves beautiful flowers! 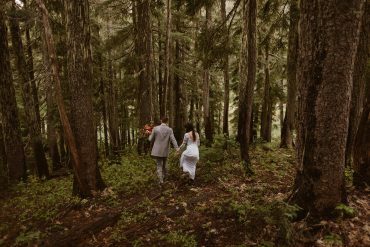 This bride and groom chose reds, oranges and a pop of navy for their Mt. 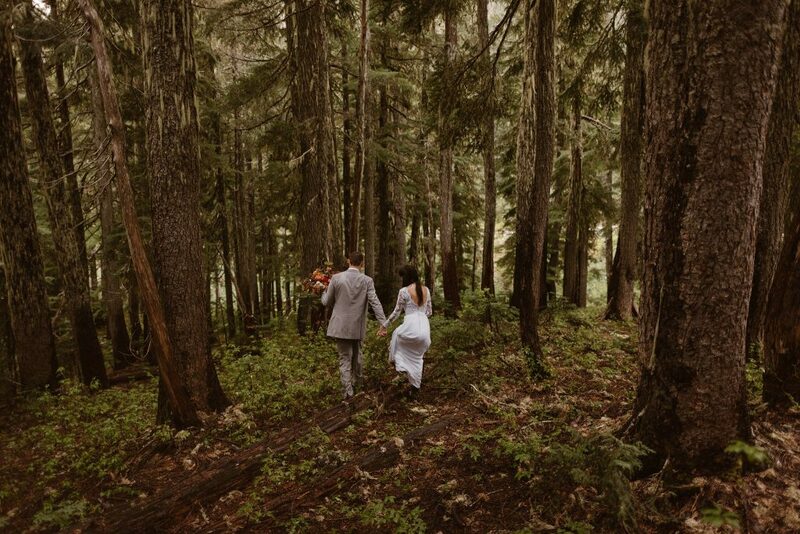 Ranier elopement. 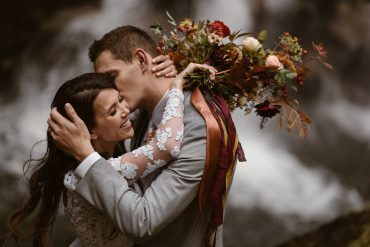 I really loved making this special bouquet for a woods wedding.